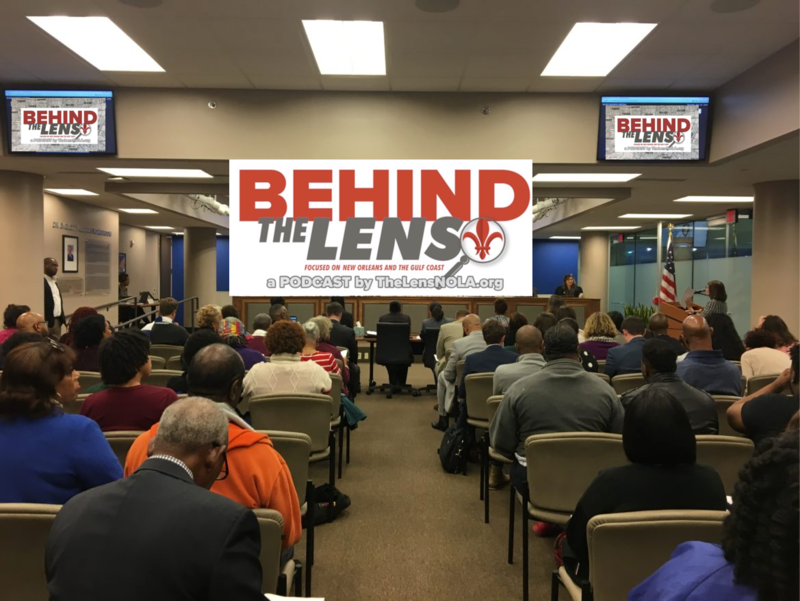 This week on Behind The Lens, producer and host Tom Wright interviews Lens education reporter Marta Jewson about this week’s tense Orleans Parish School Board meeting. Members of the public came to the meeting to speak out against Orleans schools Superintendent Henderson Lewis’ plans to close five schools next year. But they found they weren’t going to be allowed to speak publicly. This led to a number of angry outbursts from people who felt they were being prevented from participating in a public meeting of the elected board. The public defenders office — which gets part of its budget from traffic camera tickets — thinks the plan will lead to more arrests, meaning a heavier workload. But unlike the police and the District Attorney’s Office, the mayor’s 2019 proposal does not increase the defenders’ budget.